Worn Out Media Co. has supplied a new collection of premium resources for Access All Areas members to download. After previously donating 20 minimal logo templates, members can now get hold of two whole packs of their modern logo series, totaling 50 minimalistic designs you can edit and customise to suit your own projects. 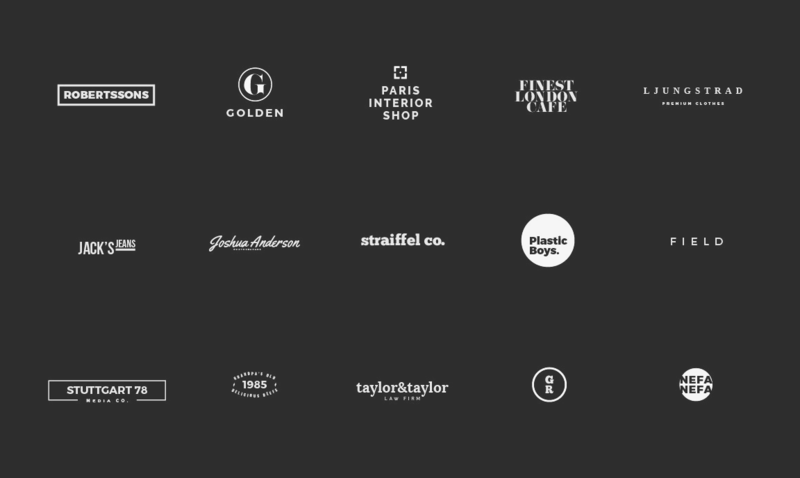 Every logo is made with freely available fonts and is constructed using a golden grid template so you can retain the balance and layout with any modifications you make. Worn Out Media Co. is a Creative Market store dedicated to providing design templates for designers to easily create stylish brands. The two packs of modern logo templates that have been donated for Access All Areas members are part of a bundle of 8 packs, which is currently on sale with a 70% discount. If you love this modern Scandinavian style, grab the Massive Logo Builder Kit of 200 logos for $25. Find out more about Worn Out Media Co.
Access All Areas members can now download these 50 modern logo templates as part of their membership. Each design comes in Photoshop and Illustrator formats with fully layered and editable elements. All the fonts used in the designs are available to download for free and allow commercial usage, so you’re safe to use these templates as quick and easy brand designs, t-shirt graphics and more!